When considering the Atkins Diet vs. Zone Diet, you'll find both diets have stirred controversy within the diet world, but each has proven to bring about weight loss results, too. While both are high protein, low-carb diets their dietary approaches differ. The Atkins Diet appeals to dieters because weight drops off quickly at the start. Claims made about the diet suggest people can lose up to 15 pounds in the first two weeks without being hungry. The Atkins Diet reduces the intake of carbohydrates and increases the amount of protein and fat consumed. Unlike calorie restricted and low-fat diets, it allows dieters the freedom to consume sizable portions of items such as cheese, eggs, butter, red meat and even bacon. The premise behind this approach is that our bodies burn carbs first for energy, and when carbs are reduced, it forces the body to burn stored body fat. People on the Zone Diet are said to experience more energy and decreased hunger within the first week. 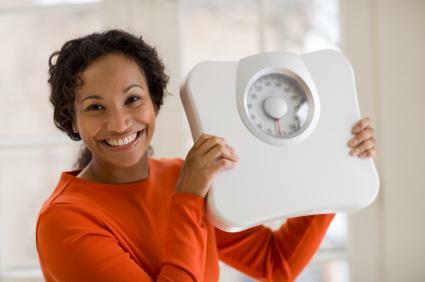 Weight loss is slower than that experienced on the Atkins Diet, but most people lose about four pounds the first week and up to two pounds a week after that. The Zone Diet's approach to weight loss is based on hormonal responses to foods eaten with a focus on the hormone insulin. The more carbohydrates eaten, the more insulin the body releases. Too much insulin in the system leads to carbs being stored as body fat. With this in mind, the Zone Diet also restricts carb intake and encourages protein consumption which kindles the hormone glucagon. The goal of the plan is keep these two hormones balanced while eating less and keeping your hunger in check. While both diets are low-carb, high protein diets, one of the biggest differences between the Atkins Diet vs. Zone Diet are the foods allowed. What foods are allowed on the Atkins Diet depends on what phase of the diet you follow. The Induction Phase is the most restrictive, but it allows all meats, poultry and shellfish as well as most fish. Due to the low-carb nature of the Atkins Diet many people think the diet allows no fruits or vegetables, but that's not the case. Fresh vegetables are part of the plan but are limited to 12 to 15 grams of net carbs daily. Fruits however, are not allowed during the Induction phase. After that, low-carb fruits such as berries are introduced back into the diet. The goal of "eating in the Zone" is achieved by following a low-carb, high protein diet which differs from Atkins because fat intake is moderate. Unlike the Atkins Diet, the Zone Diet doesn't have a list of forbidden foods, and it does control portion sizes. This diet recommends the majority of carbohydrates come from fruits and vegetables (unlike the Atkins Diet which eliminates or restricts fruit). Grains and starchy foods can also be eaten in small amounts. Like the Atkins Diet, there is no counting of calories, but eating "in the Zone" is accomplished by eating in "food blocks" which translate to about 1200 calories a day for women and 1400 to 1600 a day for men. However, how much is eaten is dictated by a person's size. The idea behind this plan is to keep blood sugar levels balanced. The result is reduced cravings, which helps promote weight loss. Because this diet is based on hormonal responses to food, it is recommended that caffeinated beverages such as coffee be replaced by their decaffeinated counterpart because caffeine can stimulate insulin resistance. Artificial sweeteners are also not recommended because they can stimulate cravings for carbs. This includes beverages like diet soda. Medical experts are divided as to whether or not the Atkins Diet is a healthy long-term approach to weight loss, since it is a diet high in saturated fats. A 2009 study conducted by researchers at Harvard found that a low-carb diet such as Atkins resulted in increased incidence of atherosclerosis in mice. The controversy surrounding the Zone Diet is related to its claim that weight loss is the result of regulating insulin levels. Skeptics site that weight loss is actually the result of eating less calories. The best way to lose weight is through a balanced diet and regular exercise. If you are considering either of these diets for weight loss, talk with your healthcare provider, first. She understands your personal medical history and will be able to guide you as to the best weight loss approach for you.